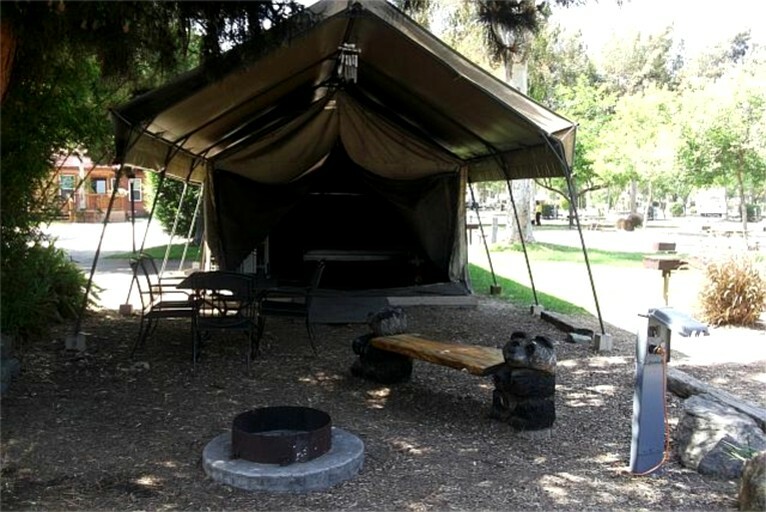 This rustic safari tent can be found just outside the town of Coarsegold, California at a short distance from Oakhurst, California. It is the perfect chance to enjoy a family vacation, as it can sleep a total of five guests in its queen-size bed and three twin beds. 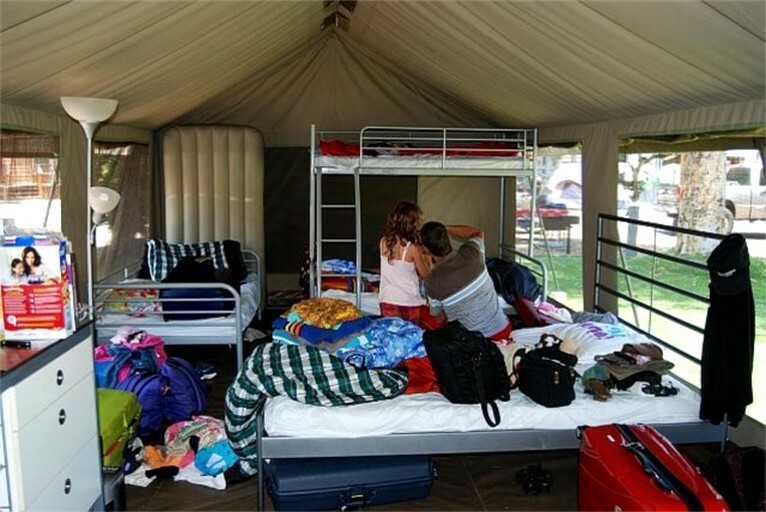 Guests will find all of the beds dressed in comfortable linens provided by the hosts, and there are full bathroom facilities just a short walk from the tent. Towels are not provided. 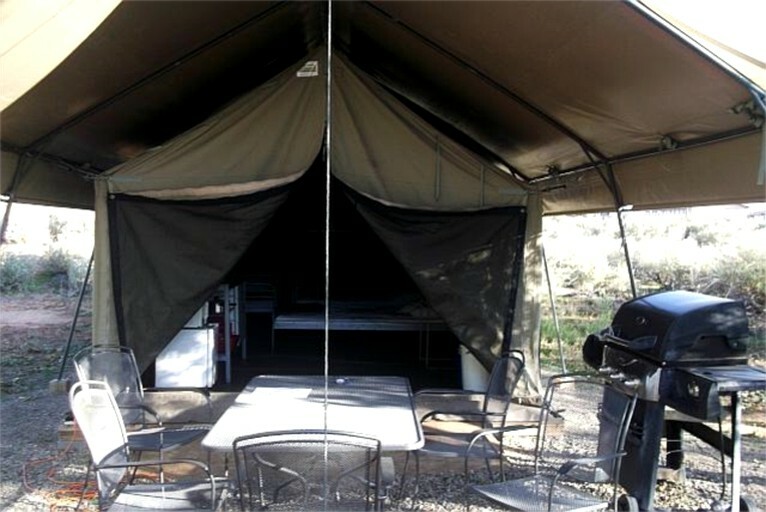 The safari tent has plenty of storage space so that guests feel at home and there is also a living area where guests can relax on cooler evenings as there is space for the garden furniture provided outside to be moved inside. Also inside, guests will be able to make simple meals in the kitchenette that offers a microwave, a fridge, and a coffeemaker. If they would prefer to cook under the stars, a barbecue is provided outside. Despite the rustic charm of the rental, guests will feel right at home. The bed is dressed in comfortable linens, and glampers will have access to full bathroom facilities. Towels are not provided. Guests will also have use of a barbecue and a small stove for outdoor cooking. 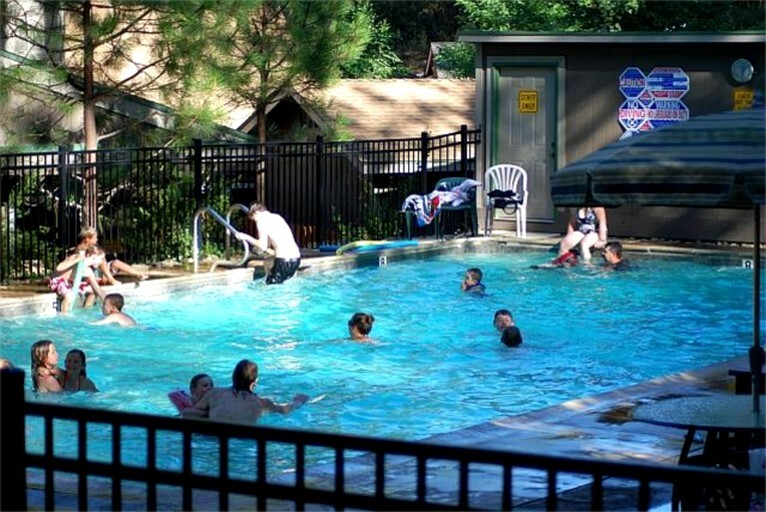 Parking is available, and there is an outdoor swimming pool for guests to enjoy. Guests will love the unique setting of this glamping property. It can be found in Coarsegold, California, just outside the town of Oakhurst. This means that glampers will be able to enjoy plenty of peace and quiet while also having easy access to a charming selection of shops and restaurants in town. 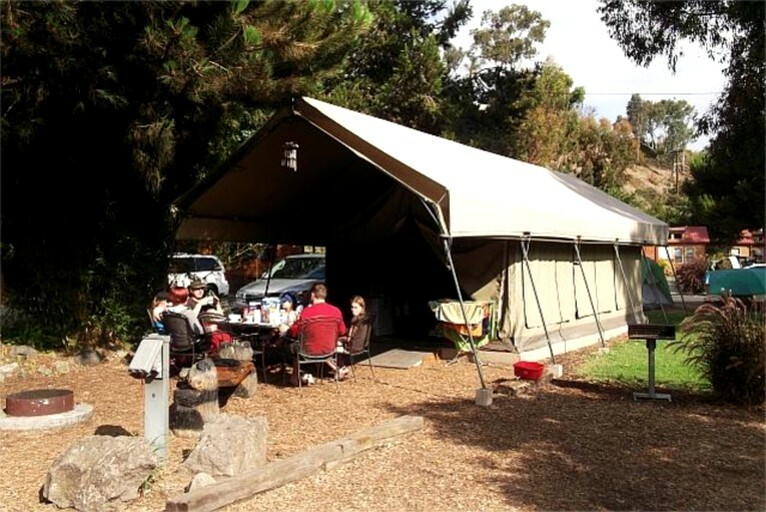 In addition, the rental is approximately half an hour from the south entrance of Yosemite National Park, so glampers will be able to spend every day exploring both the park and the beautiful countryside that surrounds it. 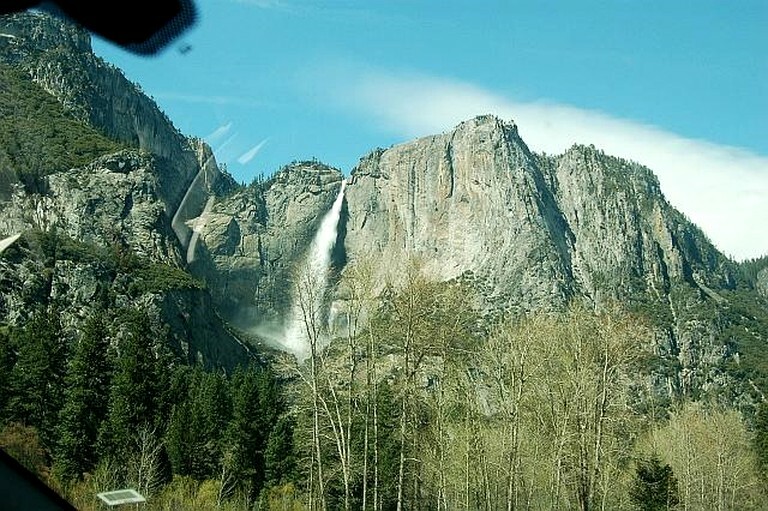 Best of all, the famous Yosemite waterfalls are also just half an hour from the property. There is no end to the exciting activities available for guests to enjoy during a stay in this rental. 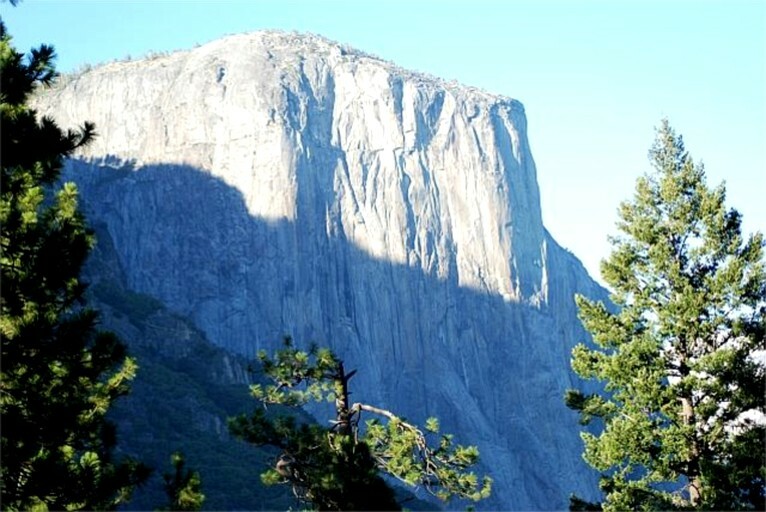 The proximity of Yosemite National Park is sure to be a big highlight as it means that glampers will be able to hike for miles on the beautiful trails and get to know the unique wildlife that lives in this area. The amazing waterfalls in the park will leave guests speechless and guests should be sure to bring their cameras so that they can capture the moment. There are also various rivers and lakes in the area if guests fancy a quiet afternoon of fishing. Alternatively, they can stay on the campsite and make the most of the communal swimming pool. After a busy day, there is a wonderful selection of restaurants in town where guests can refuel.